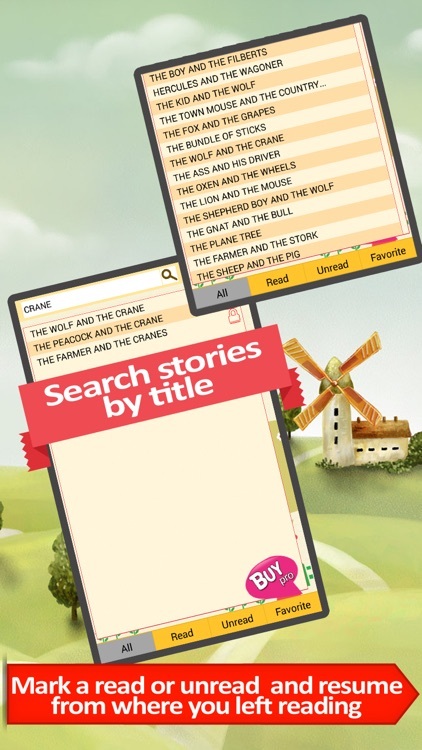 Aesop's Fables, Short Stories for Kids offers 150 classic fables and short stories for your children to read any time. 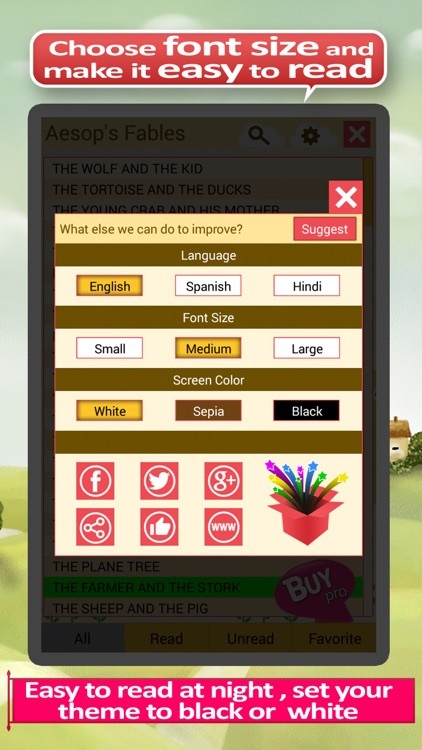 The app lets you adjust the background for reading at night, the language for English, Spanish, or Hindi, and the font size as well. You can mark stories as read and save your favorites. 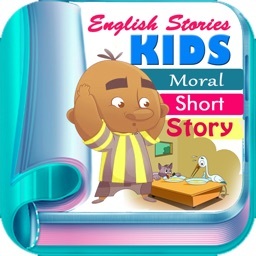 Aesop's Fables, Short Stories for Kids is a handy reading app for kids with a large selection of fables and short stories. 6)Night Mode –Turn the background black and the font white, giving you the perfect mode for nighttime reading. Aesop’s Fables are a large number of ancient Greek stories that teach a variety of moral lessons through the use of fascinating characters and their adventurers. There are no better classic stories to read alongside your child in order to educate them on how to treat others and live their lives. 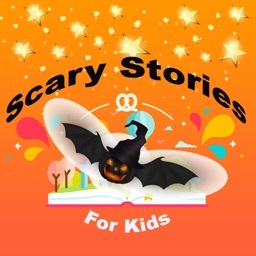 This App compiles a huge number of the fables, one hundred fifty short stories, into a single edition for you and your kids. This provides a vast variety of tales that you can look through and read with your child, assuring you that you’ll always be able to find the perfect bedtime story. 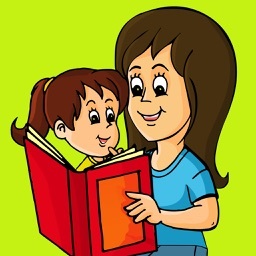 Designed to be one of the best reading experiences of these classic fables on the market, this app comes with a multitude of features to provide the most enjoyment and learning possible. 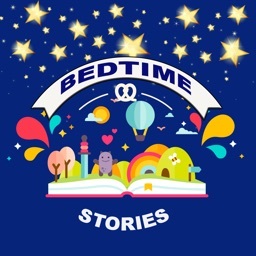 Stories have been one of the best pass time activity for children and telling story to kids at nighttime has always been a beautiful way to put children to sleep. Teaching your children morals, the difference between right and wrong, and how to make good choices doesn’t have to be a dry speech from you. 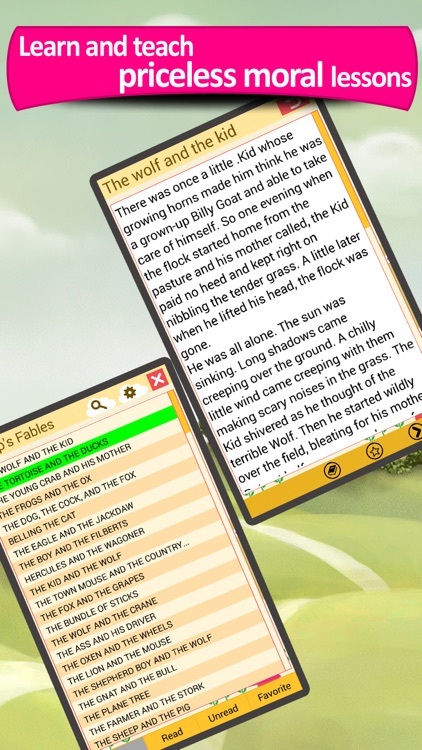 This Aesop’s Fables app provides you with every resource you need to help tell an engaging story to your child, allowing you to lay the groundwork for a quick discussion over morals. These stories have entertained and taught children for generations, let them entertain and teach for one more time. 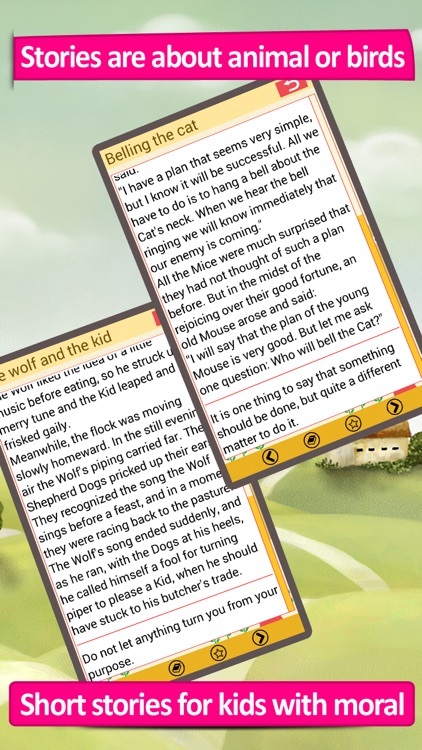 Download the app now and start enjoying Aesop’s fables. Kindly share these stories with kids around. 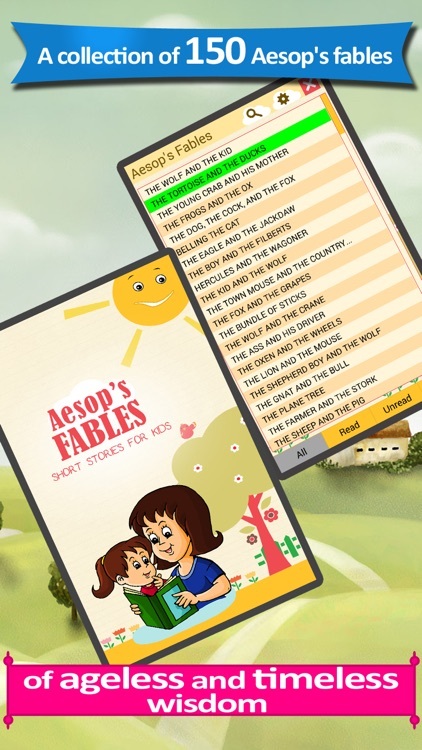 Enjoy quality fun with Aesop's Fables , short stories for kids! !